Caroline is a specialist in Human Resource Management and is passionate about helping to improve employment opportunities for young people in the local area. 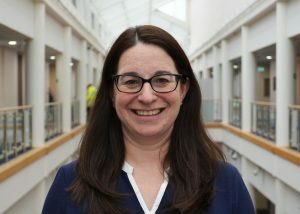 She is currently also involved with Torbay Development Agency’s Hi-Tech Forum Education sub-group and ensures that Spirent is fully involved in STEM activities across the Bay. Caroline has been HR Director for Europe, the Middle East and Africa at Spirent Communications since 2008. Spirent are a leading Global Communications company with offices in the USA, Europe and Asia; at the Paignton office they specialise in test and measurement equipment for the Global Positioning Satellite (GPS) and Global Navigation Satellite System (GNSS) Markets. Having gained Chartered Fellow accreditation through the Chartered Institute of Personnel and Development (CIPD) in 2010 she also went on to qualify as a Neuro Linguistic Programming (NLP) Practitioner in 2014. Caroline joined the Governing Body in October 2015 and is Chair of the Search & Governance Committee as well as a member of the People & Resources Committee and the Remuneration Committee. Lisa was appointed as Clerk to the Governing Body in April 2016 having clerked school governing bodies for more than five years. During this time she supported and advised governors in a wide range of settings including a church primary school and nursery, a special school, an ‘all through’ Academy, a community college and a pupil referral unit. Before taking up this post, Lisa was also Company Secretary for the SENtient Trust. From January 2012 to January 2016, Lisa served a four year term of office as a parent governor for her local federated primary school. She therefore appreciates the world of governance from a governor’s and a clerk’s perspective. She is passionate about promoting good governance as she believes this is key to sustained improvement within the education sector. Prior to developing a professional interest in governance Lisa was a Research Officer employed by the Dartington Hall Trust. Prior to that she was a Junior Research Fellow at the University of Birmingham where she taught and supervised undergraduates in the Philosophy Department whilst completing her PhD in political philosophy at the University of Leicester. In her spare time Lisa enjoys reading, cycling, running, hiking and holidaying with her family. Stephen Criddle OBE is the Principal of South Devon College. 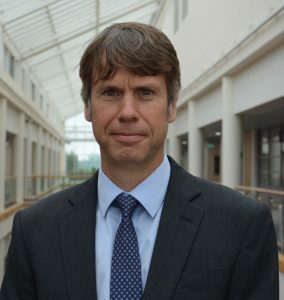 Stephen has led the College for 9 years as Principal, having previously been Deputy Principal at South Devon College and has expanded the work of the College across Torbay & South Devon. He is a passionate champion of educational opportunity, and enabling all learners to achieve their full potential. Born in Birkenhead, he attended school there before studying Geography at Jesus College, Oxford. He then qualified as a Chartered Accountant and worked in industry before joining the Education Sector in 1992. He is currently a board member of the Quality Assurance Agency, the TDA (Torbay Economic Development Company) and a number of local education groups. He has also been active previously as a board member of the Heart of South West Local Enterprise Partnership. He was awarded an OBE for Services to Education in the Queen’s New Year’s Honours for 2017. Stephen has three children and also enjoys social sport, the countryside and living in Devon where he has been a resident for over 25 years. 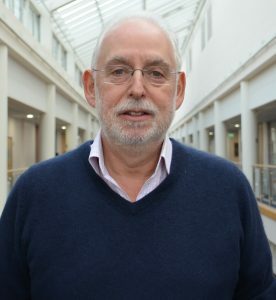 Graham relocated to Exeter in 2016 following his retirement as Clerk to the Governors and Company Secretary of St Mary’s University, London. 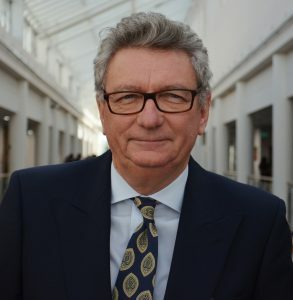 Up until 2010 Graham’s career was spent in higher education administration including Exeter, Plymouth, Southampton Solent, Surrey and Chichester Universities. Graham is familiar with South Devon College having worked in the Academic Registries of both Exeter and Plymouth Universities. Before joining South Devon College, Graham had more than eight years’ experience of being a Governor in Further Education. This included chairing a Quality and Standards Committee and an Audit Committee. Graham joined the Governing Board in September 2016 and was appointed as Vice-Chair of the Board from 2018/19. He is Chair of the Project Board and the Remuneration Committee. He is also a member of the Quality, Teaching, Learning and Assessment Committee and the Audit Committee. In 2018 he became the Link Governor to South Devon High School. In addition to his involvement with South Devon College he is a Trustee of two local charities and is a member of a specialist Scrutiny Panel for the Devon and Cornwall Police and Crime Commissioner. Maddie Griffiths is studying A Levels in History, Politics and Media Studies. Maddie was elected as the Student Union President in October 2018 and will serve on the Governing Body as the FE Student Governor from 15 November 2018 to 31 July 2019. In addition to attending full governing body meetings, Madeline is a member of the Quality, Teaching, Learning and Assessment (QTLA) Committee. She also serves on the Academic Improvement and Development Board and the College’s Equality and Diversity Committee, both of which, report through to the QTLA Committee. Liz Lyons is a first year Foundation Degree Bioscience student, and previously studied at South Devon College on an access course. 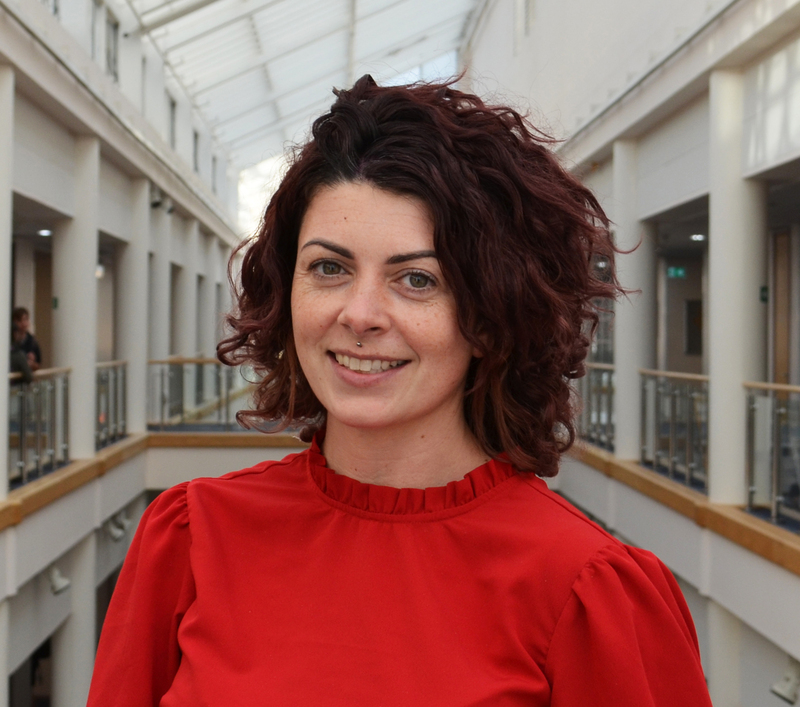 She was elected by HE students as the University Centre’s Lead Student Representative in November 2018 and will serve on the Governing Body until 31 July 2019. In addition to attending full governing body meetings, Liz is a member of the Quality, Teaching, Learning and Assessment (QTLA) Committee. She also serves on the Academic Improvement and Development Board and the College’s HE Board of Studies, both of which, report through to the QTLA Committee. Philip is a Visiting Research Fellow at Plymouth University. He retired from his post as an Associate Head of School (Teaching and Learning) and Academic Director of the University Hotel School in the School of Tourism and Hospitality in February 2017. Prior to joining the University of Plymouth as a Senior Lecturer in 2000, Philip was Head of Centre, Tourism, Hospitality and Sport at South Devon College. Philip was awarded a PhD in Education from the University of Exeter in 2003 and an MEd in Professional Development from the College of St Mark and St John. He is the author of vocational textbooks and has published many research and conference papers. Philip has served on a number of external bodies including Vice Chair of the Cruise Research Society from 2009-2014. Philip has also been a Fellow of the Institute of Hospitality since 2002 (and a member since 1980) and has lived in Paignton since 1987. He raised his family here and is fully supportive of a College of Further Education that places itself at the heart of its community. Philip joined the Governing Board in June 2016 and is the Chair of the Quality, Teaching, Learning and Assessment Committee. He is also a member of the Remuneration Committee and is the Designated Governor for Equality and Diversity. Matt is Head of Catering and Retail Services at the College and has a wealth of experience in the catering and hospitality industry. After completing an advanced GNVQ in Hospitality & Catering at City College, Plymouth, Matt progressed to work at the prestigious Michelin starred Gidleigh Park in Chagford, Devon. Prior to arriving at South Devon College Matt worked for a National Leisure Company as a Brand Manager where as part of a team he developed concepts across 50+ Leisure Centres in the UK and wrote standard operating procedures that were implemented across the group. He then took up the role of Regional Food and Beverage Manager in which he was responsible for key sites in different regions concluding in the South West. Matt lives in Paignton with his wife Sarah, and son, Noah. He enjoys participating in sport and playing the guitar. He is also an FA coach and manages the Stoke Gabriel U12 Football Team. He is a keen Torquay United supporter. Matt joined the Board of Governors in January 2014 and is a member of the People & Resources Committee, the Search and Governance Committee and Project Board. Born 1957, Graham is married with two boys and lives in Newton Abbot. He was educated at Homelands Technical High School (now The Spires College) in Torquay. 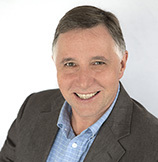 Having joined a major regional practice straight from school, Graham qualified as a Chartered Accountant in 1986. He then moved to North Devon, gaining valuable post qualification experience. He returned to South Devon to work for Peplows in 1990, becoming a partner shortly thereafter. Throughout his career he has gained extensive general practice experience, majoring on client relationships and practice development. He operates mainly out of Newton Abbot. He has a very hands-on role with select key clients, both corporate and non-corporate. His specialisms include Financial Services related clients, clubs and associations and his specialist industries include manufacturing, garages, and furniture retailers. Graham is Managing Partner and also partner in charge of Business Development and heads the Business Services Department. Graham is past Chairman of the Exeter & District Society of Chartered Accountants. He is also the Director of a local rugby club and past Captain of a local golf club, together with other current Treasurer’s roles. 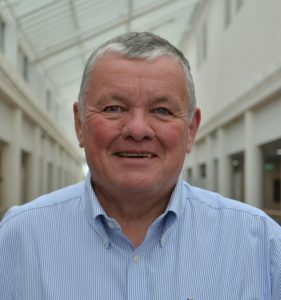 Graham joined the Board of Governors at South Devon College in March 2013 and is now Chair of the Audit Committee and a member of the Remuneration Committee. 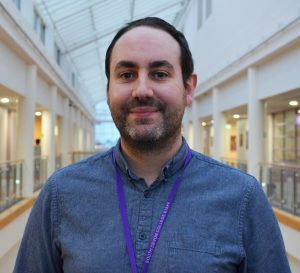 Dave has been the Programme Co-ordinator for A-levels at South Devon College since 2015. 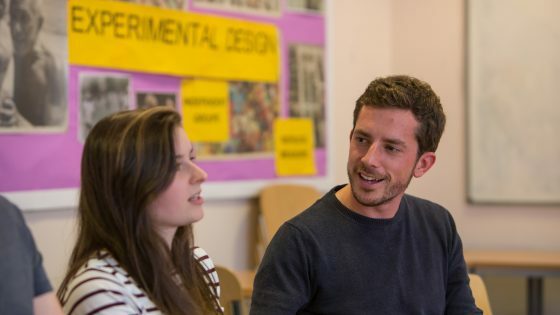 He joined the College as a teacher in 2012 following a PGCE placement during 2011-12. He teaches across different age groups and levels, from GCSEs and A levels to foundation degree. This means he is well placed to support the work of the Governing Body in ensuring high standards of academic performance. Dave is passionate about the College and, in particular, supporting students and staff to achieve the best that they can. Before teaching Dave worked in numerous areas of employment, including customer service, before returning to education in his mid-twenties. Away from the classroom, Dave completes research into local history projects and enjoys geocaching on the moors with his dogs. Dave was appointed to the Governing Body as the Staff Governor (Academic) in November 2017 and is a Member of the Quality, Teaching, Learning and Assessment Committee and the Audit Committee. 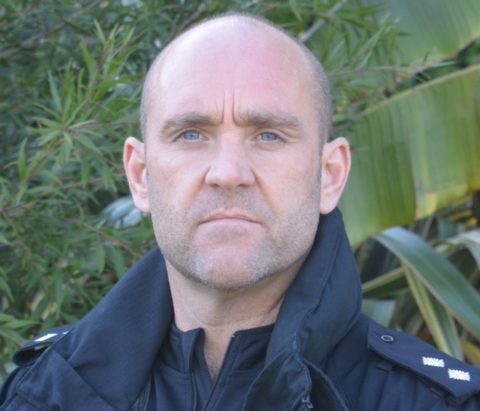 Mark is a Detective Inspector within Devon and Cornwall Police. Having previously been a Force Incident Manager (FIM) and Tactical firearms commander he currently works from Police headquarters in Exeter. He has been a police hostage and crisis negotiator for over 10 years and has 15 years’ experience working within the Criminal Investigation Department (CID). His roles have included DI on the sexual offences and domestic abuse investigation team and Senior Investigating Officer on large Drugs trafficking investigations. Mark joined the Governing Body in October 2015. He is a Member of the Teaching, Learning and Assessment Committee and is the Designated Governor for PREVENT and Safeguarding. Rory is the Financial Director for Europe, the Middle East and Africa for Spirent Communications plc. Spirent are a leading Global Communications company with offices in the USA, Europe and Asia; at the Paignton office they specialise in test and measurement equipment for the Global Positioning Satellite (GPS) and Global Navigation Satellite System (GNSS) Markets. Rory has worked in commercial organisations since qualifying as a Chartered Accountant with Ernst & Young 25 years ago. He has a wealth of commercial experiences and a clear understanding of sound decision making in a competitive environment. He has extensive experience of risk management and internal control as well as a sound grasp of the importance of good corporate governance. Rory completed an MBA with the Open University in 2007. Rory is a keen supporter of vocational education for young people and adults and is keen to develop people within organisations and organisational growth within our local community. Rory joined the Governing Body in June 2017 and serves on the Audit Committee. Lee Soden has recently retired from working at a strategic level in the NHS, private sector and in Higher Education. As Director of Estates and Facilities for Canterbury Christ Church University he was responsible for developing over £150 million of new University buildings in addition to managing all support facilities services with a budget of over £19 million and an income of over £12 million. During this time he developed a “student first” focus for the student experience plan for all Estates and Facilities student facing services. Lee is now a resident of Torquay and is keen to contribute to his local community in a voluntary capacity. He is particularly keen to support students in developing their skills. Lee joined the Governing Body in June 2017 and is a member of the People & Resources Committee and Project Board. He is also the Designated Governor for Health & Safety. Jane Viner is Executive Chief Nurse at Torbay and South Devon NHS Foundation Trust. She qualified as a nurse in 1985 and specialised in critical care and emergency medicine. Over her 35 year NHS career she has held a range of clinical, management and education roles in the UK and the USA. Jane holds a Master of Science (Nursing) qualification and a Master of Arts (Education) qualification. Her professional interests include quality and safety standards, safeguarding and education. 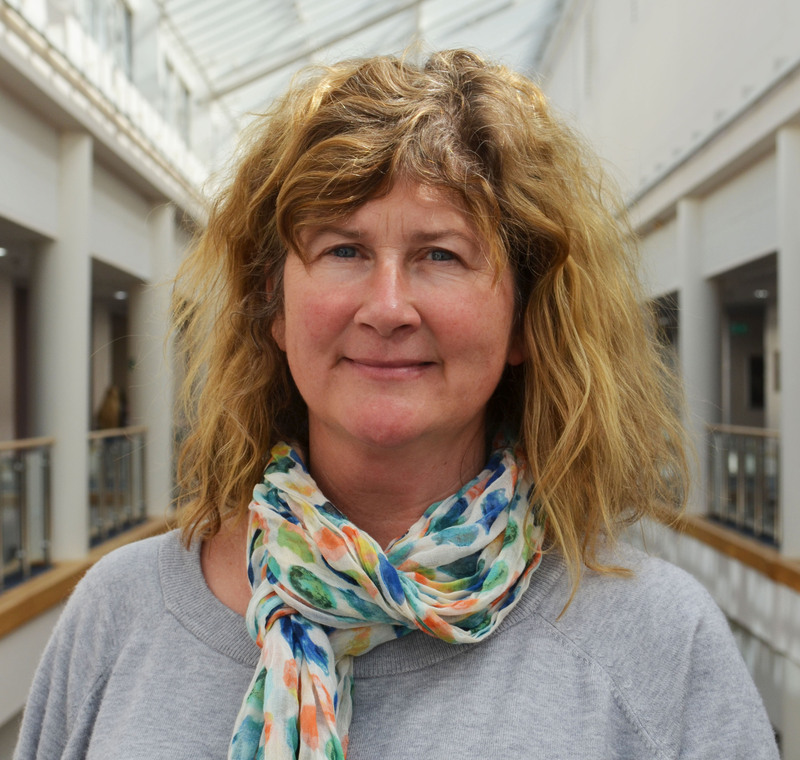 Jane is an Associate Professor of Exeter & Plymouth Universities and she is also Chair of the Local Workforce Action Board for Devon’s Sustainability and Transformation Plan. 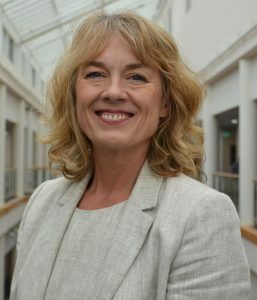 Jane was invited to join the Governing Body in September 2017, following the merger of Devon Studio School (where she was a Sponsor Governor) with South Devon College. She became Chair of the People & Resources Committee in September 2018. Jon Goldman is a recently retired Consultant Physician from Torbay Hospital. He has held posts in education and training at a local and a regional level and was appointed to roles in the Peninsula Post Graduate Deanery from 2006 – including Head of School for Post Graduate Medicine and subsequently Associate Dean. Jon has been an examiner and then Chair of Examiners for the PACES (Practical Assessment of Clinical Examination Skills) for the Royal College of Physicians for 17 years. During this time, he also contributed to examination standard-setting committees. Jon has held management roles at Torbay Hospital and has thus been responsible for significant budgets. In addition to being a staff governor for a 3 year term of office, he has chaired committees and has experience in selection and interviewing up to board level. Jon has lived in Torquay for more than 25 years and has two daughters now in their twenties. He is keen to give something back to the local community, and in particular, support learners at South Devon College in pursuing the career paths of their choice. Jon is a member of the QTLA, Audit and Search & Governance Committees. He is also a Trustee for the Friends of South Devon College. Joe Considine graduated from the University of Wales in 1973 with a degree in economics and chose accountancy as a career. He is a fellow of the Institute of Chartered Accountants having qualified with Deloittes in 1997. After qualifying Joe became a senior audit manager for Coopers & Lybrand and a partner in 1984. Coopers & Lybrand merged with Price Waterhouse in 1997 becoming PricewaterhouseCoopers. Joe retired from the PricewaterhouseCoopers partnership in 2004 and formed a turnaround boutique which currently trades as Gresham Considine. His career to date means that he is particularly skilled at taking a strategic, operational and financial view of a business. Joe is now semi-retired and living in South Devon. 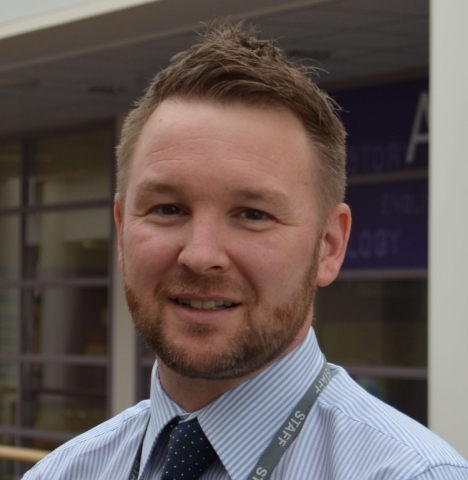 He is keen to use his knowledge, skills and attributes to support the ambitions of South Devon College in a challenging educational environment. Joe joined the Governing Body in September 2017 and is a member of the People & Resources Committee. Sally trained and qualified as a solicitor in Edinburgh, before qualifying in England and joining Michelmores in 2003 where she has been a partner since 2008. In her role as a transactional lawyer, Sally’s work for local authorities includes regeneration schemes (residential and mixed use), infrastructure projects, funding agreements and the securing of loans and grants. These transactions involve her working with project teams comprising instructing officers and other professional consultants and require her to find practical solutions, negotiate with the private sector and deliver key objectives within what are often challenging timescales. In addition to her role as a transactional lawyer, Sally is part of the trainee recruitment team at Michelmores. She regularly presents to law students attending open days, interviews trainee applicants, mentors and supervises the firm’s trainees. She has also been instrumental in setting up a work experience programme for A Level law students attending a local Academy. Sally was appointed as a Co-opted Member to the Governing Body’s Project Board in September 2018. 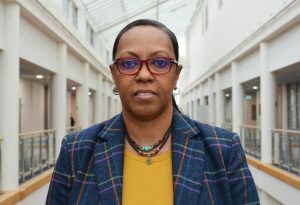 Tracey joined the Governing Body on the 1 March 2019 and is a member of the People & Resources Committee. A more detailed biography will follow in due course. Judy joined the Governing Body on the 1 March 2019 and will become a member of the Audit Committee from 1 September 2019. A more detailed biography will follow in due course.